Dr. Zak was born in Kiev, Ukraine and came to the United States in 1977. He grew up in Brooklyn, NY where he attended Midwood High School. He graduated with a B.S. in Athletic Training from Northeastern University in 1998. 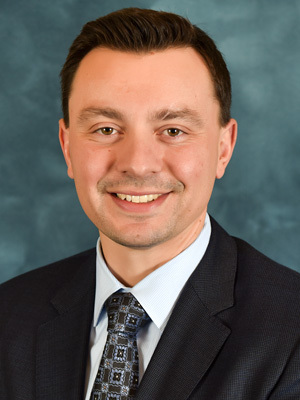 Dr. Zak earned his Medical degree from Temple University School of Podiatric Medicine and completed his residency training at Cooper University Hospital in Camden, NJ. He is board-certified in foot surgery and rear foot and ankle reconstructive surgery. He has served on the interview panel for the residency program at Cooper University Hospital as well as Virtua Health. Dr. Zak sees patients with any podiatric concern from pediatrics to the elderly. His interests are performing surgery of the foot and ankle, specifically arthroscopic procedures and reconstruction. He is one of the only physicians in New Jersey who performs total ankle replacements. Dr. Zak enjoys participating in triathlons, skiing and golfing. He currently resides in Voorhees, NJ with his wife and three children. "Dr Rudolf Zak has hands of gold. He operated on my 5th metatarsal and rehabilitation is going great. I would recommend Dr. Zak to anyone. His staff and clinical assistant, Katie, were very professional and helpful during the entire process from beginning to end. I thank the entire staff and doctors at Mercer Bucks Orthopaedics." "I am so very grateful for the level of care that Mercer Bucks Orthopedics has provided. I was in a serious auto accident in which I sustained multiple injuries. Now thanks to the amazing staff, Doctors and physical therapists I am well on my way to a full recovery! I wanted to say a special thank you to Michelle Gerhart in the mva department for being so professional, dependable, and making this process a lot less stressful. I would recommend Mercer Bucks Orthopedics to anyone wanting to find Trustworthy Physicians/Physical Therapists. They have taken the time to properly diagnose and make a plan to address my injuries. Thank you!!"